A group of armed ultras first made the workers leave the spot before torching around 15 vehicles and machines and fled into the forest. RAIPUR: Maoists set on fire at least 15 vehicles and machines engaged in road construction works in Chhattisgarh's Bijapur district today, police said. "The incident occurred in morning hours between Tarlaguda and Annaram villages under Tarlaguda police station limits," Bijapur Additional Superintendent of Police Mohit Garg told PTI. A road is being constructed between Tarlaguda and Annaram, located over 450 kms away from here. A group of armed ultras first made the workers leave the spot before torching around 15 vehicles and machines, including tractors and a JCB machine, and fled into the forest. 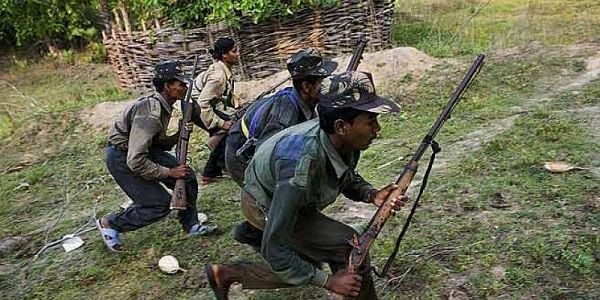 A combing operation is underway to trace the Naxals.